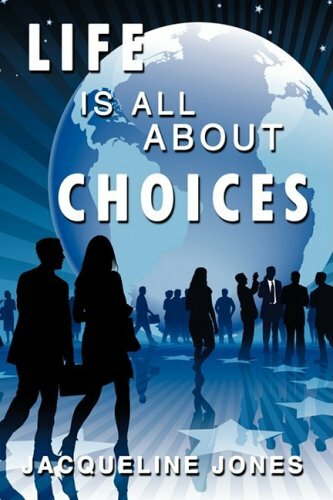 Amazon.com description: Product Description: Life is All About Choices shares one woman's ideas about relationships and life experiences through an honest and stimulating exploration of the doubts, fears, and uncertainties that often accompany male/female relationships as well as broader social issues. Jacqueline offers the inspiration, knowledge, and techniques that will teach others to utilize their inner-strength in order to make positive changes, pursue dreams, and defeat obstacles-not just in relationships, but in everyday life. About: Life is All About Choices shares one woman's ideas about relationships and life experiences through an honest and stimulating exploration of the doubts, fears, and uncertainties that often accompany male/female relationships as well as broader social issues.